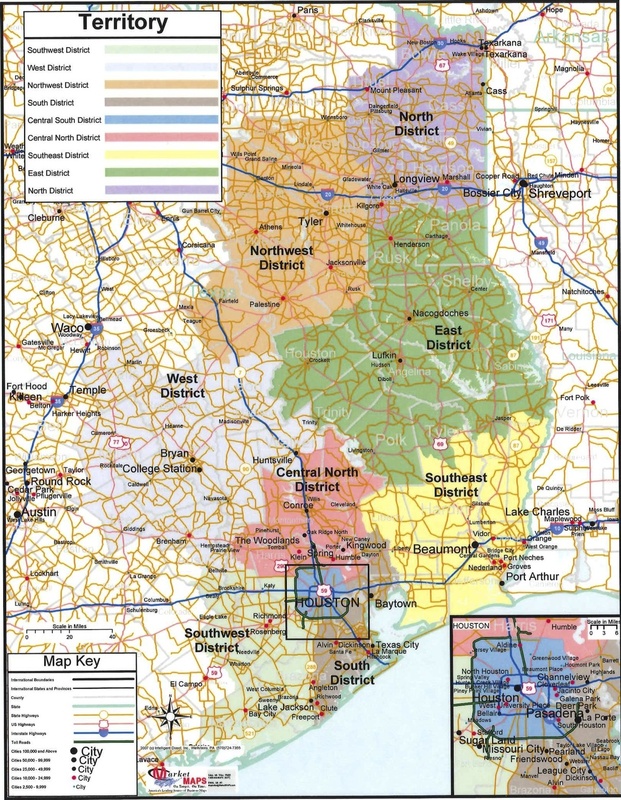 The Southwest District is part of the Texas Annual Conference, which extends from the Texas-Arkansas border at Texarkana and encompasses the Eastern portion of Texas all the way down to Matagorda on the Gulf Coast. 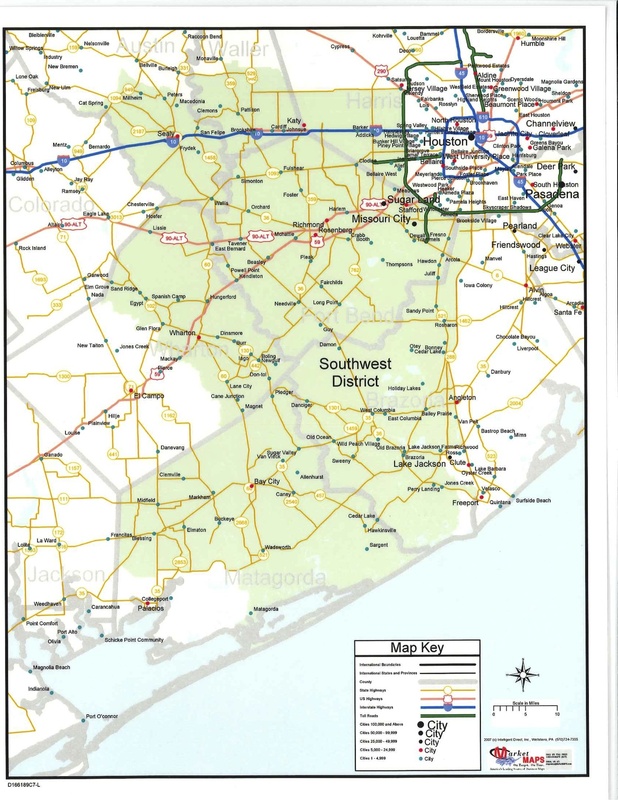 There are 49 churches in our district, which begins at the intersection of Beltway 8 and Interstate 10 in Houston, TX extends West on Interstate 10 to Sealy, Southwest to Matagorda off of the Gulf Coast and South of Houston following the Western corridor of Highway 288, South of Beltway 8. The Southwest District serves as a resource for pastors and the local church as well as acting as liaison between the local church and the Texas Annual Conference. The District sponsors Tri-District Summer Camp at Lakeview, Lay Servant Academy, Missional Excellence Summit, leadership training for laity, district mission projects, and various continuing education opportunities for Pastors. Tony Vinson has served in the Texas Annual Conference for 41 years in Churches ranging from small rural Congregations to large multi-staff suburban Congregations. He has served as an Associate Pastor, Campus Minister, and a Senior Pastor. 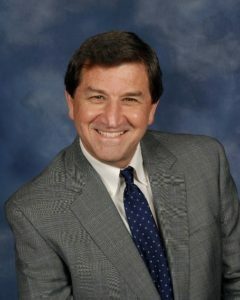 He has been a part of the team that helped begin UM Army while serving as Campus Minister in Athens Texas in 1979. He has helped the Emmaus Community Charter, serving as the communities’ first Spiritual Director in East Texas while serving as Pastor at Perritte Memorial in Nacogdoches. His wife, Michelle, retired from teacher in the Clear Creek School District in 2018. She is enjoying retirement and the flexibility to spend more time with their grandchildren! Claire worked part time in the Northwest District Office for 3 years before joining the staff in the Southwest District Office in 2012. She grew up in Flint, Texas, just South of Tyler and graduated from Texas A&M in 2008 with a Bachelor of Science in Psychology and from The University of Texas at Tyler in 2011 with a Master of Arts in Interdisciplinary Studies. She and her husband, Austin, have two daughters, Campbell & Gwynn. Claire enjoys spending time with friends and family, jogging, and shopping. Lori was the Business Administrator at Holy Covenant UMC for 8 years before joining the staff in the Southwest District Office in the fall of 2013. She is originally from Denver, Colorado and has lived in Texas for the past 27 years. She and her husband, Mike, and their two dogs, Zoe and Xena, currently live in Fulshear, TX. Their son, Craig, lives in Denver and their daughter, Jamie, lives in San Diego. In her spare time, Lori enjoys reading, quilting, traveling, and spending time with family and friends. Copyright © 2013 The Southwest District of the United Methodist Church.